If you are a web designer or just started learning web designing then you would like test the webpage online that you just made. There are many ways you can test a webpage, if you have your own server then you can simply upload your webpage file using any FTP software you like to use or you can even test it offline directly from your computer by simply opening that file with .HTML or .HTM extension. What if you don’t have any server with you and you want to see test your webpage online. So you don’t have to worry, all you need to do is go to PasteHTML.com, copy-past your entire webpage code in the given box, after that click on Publish page button. Then it will show preview of that webpage, if you think that something is wrong then you can again edit it before you make it live, by clicking on Back to editing button from top, else click on Publish page button from top to make it live. After you published your webpage, you will get a unique URL which will contain only the content that you have pasted there. You can use it to test your webpage or even you can create a webpage there and use it as an iframe in your blog or website. They also provide a bookmarklet by which you can easily copy any webpage that you visit just by clicking on that bookmark. 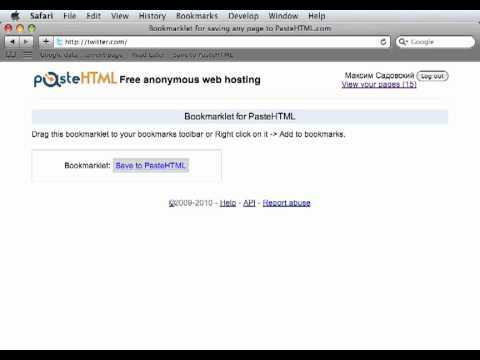 All you need to do is go to their bookmarklet page and drag-drop the bookmark button on your bookmark bar and visit any page which you would like to copy, then click on that bookmarklet from your bookmark bar and your that page will get copied. It is similar to keeping a cache copy of a webpage. The webpage you will create their will be anonymous to others, no one will know who have created that webpage. But anyone can always know, when that webpage was created, how many times it has been viewed, from where references are coming for that page and anyone can make comment on info page. To get these info all you need to do is replace view with info from your webpage unique URL, e.g. 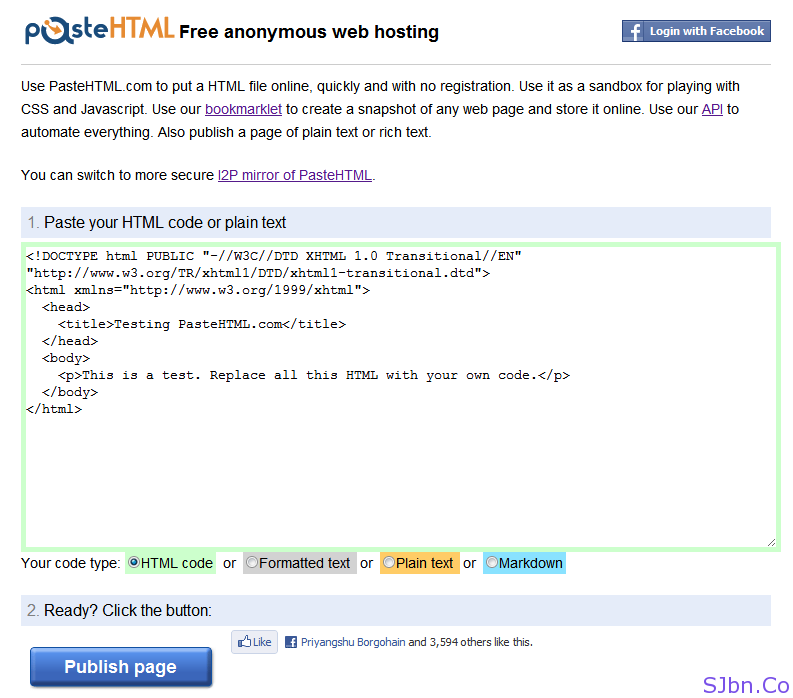 : if your webpage URL is pastehtml.com/view/btijslhe2.html then replace view with info and it will looking something like this pastehtml.com/info/btijslhe2.html.